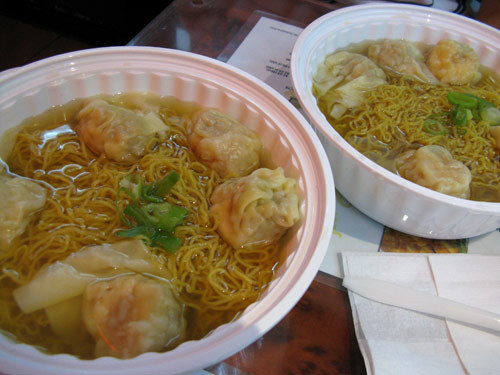 For lunch at Marco Polo Noodle Shop this afternoon, I ordered the Buddha’s Delight. (Somehow, it seems we’ve become regulars at this restaurant on Baxter.) 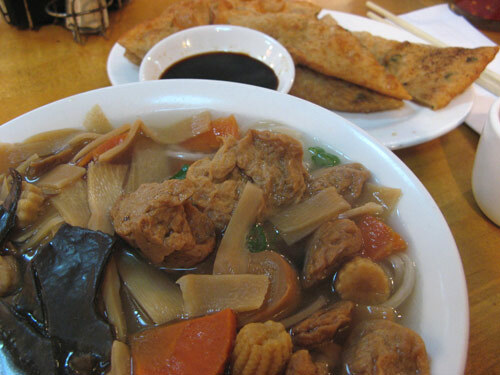 The version served here is very different from the dish at Amazing 66 — less a stew than a thrown together assortment of sliced vegetables and canned items over fresh noodles: bamboo shoots, baby corn and fried gluten, sometimes seen in Asian markets as “vegetarian duck,” “vegetarian chicken” or seitan. SYB, of course, ordered his usual: Noodles with Peking Sauce. 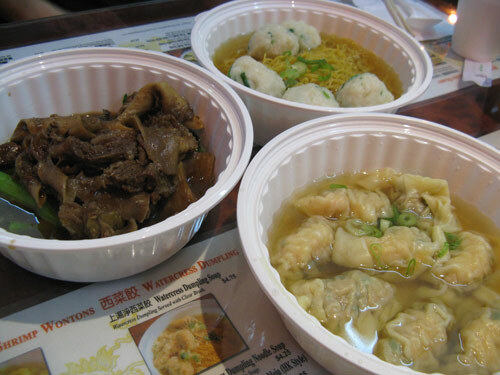 During the post-lunch chat with our waiter, it came up that this Northern Chinese dish is a favorite among Koreans for its similarity to “Ja Jyang Myeon.” That Korean dish derives its name from the phonetic translation of the Chinese “Zha Jiang Mian” (literally, “fried sauce noodles”). The Korean version of Peking Noodles is darker, pastier, more vinegary, and according to my friend, made with shredded zucchini. In Korea, Ja Jang Myeon is traditionally eaten on “Black Day.” On April 14, one of a whole slew of love-related 14th day celebrations, those without significant others gather around bowls of comforting dark-sauced noodles to wallow in their singledom… which I suppose makes it the Korean equivalent of Ben & Jerry’s.